Preview of Fall Cookbooks 2016: It is going to be delicious! 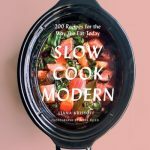 Cookbooktober is right around the corner! There are many great cookbooks that are coming our way that I’m excited about. This seems to be a recurring theme every year. (And I’ve already been peeking at Spring 2017). A cookbook lover’s job is never done. My goal here is to make you aware of what is coming with a few words about each title. The last paragraph contains links to Amazon on other Fall releases that I am excited about but did not to overwhelm anyone with this list. I did not include photographs of the covers of these titles, but you can check them out by clicking the link under each title. This should help the page load faster for everyone. While you are here, be sure to scroll through the posts and leave a comment on the other giveaways. I’d like to apologize in advance for my abuse of the exclamation point. 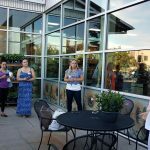 The post is organized with savory, restaurant titles first and baking bringing up the rear. Grab a snack, sit back and relax! All Under Heaven Recipes from the 35 Cuisines of China – Carolyn Phillips’ long-awaited book is so close. 300 recipes and over 500 pages of Phillips’ vast knowledge of Chinese cuisine! (More details and a giveaway for this book here.) A must have. Immediately after this release will be her second title: The Dim Sum Field Guide: A Taxonomy of Dumplings, Buns, Meats, Sweets, and Other Specialties of the Chinese Teahouse. Truly it will be Christmas in August! Taste & Technique I have been waiting for Naomi Pomeroy to release a cookbook forever – 140 recipes to elevate home cooking! This book is stunning. Totally upscale cooking that should be approachable to the home cook. Details on every aspect of cooking: ingredients, equipment, techniques and totally pop off the page photographs. Everyone needs this book and everyone needs to work through this book to hone their mastery in the kitchen. I’ll definitely be doing that! I expected greatness and I am not disappointed! Victuals by Ronni Lundy is a glimpse into the people and food of the Appalachian Mountains with recipes. I love titles that explore a region in depth and brings us closer to understanding that area’s culture and people. This book is truly beautiful – gorgeous photos and beautiful narrative. This book is culinary greatness as its best. A James Beard award winner in the making. Deep South New Southern Cooking by Brad McDonald. I’ll be reviewing this title for TasteBook and have seen the book! It’s great, beautiful and will make you crave Southern food with McDonald’s British twist! Big Food Big Love – I love restaurant cookbooks, I love Seattle and I love Southern food – this book hits all three. Heather Earnhardt is known for her biscuits at her cafe, The Wandering Goose, and in this title, she shares 130 recipes that are geared for sharing with our family and friends! Big Bad Breakfast – John Currence’s first title Pickles Pigs and Whiskey is a great book and now the acclaimed chef tackles breakfast! 75 recipes inspired by his restaurant in Oxford, Mississippi – this is a great one. It’s breakfast food ramped up and has me thinking I’ve been doing breakfast wrong for years. You can try three recipes from the book now at Eat Your Books and check that post for a giveaway link as well! China The Cookbook– Touted as the definitive book of the world’s most popular and oldest cuisine. This title by Phaidon is another must have for those of us who love Chinese food and culture. C’est Bon: Recipes Inspired by La Grand Epicerie de Paris 80 original recipes inspired by the gourmet ingredients at La Grande Epicerie de Paris – the famous gourmet food shop in Bon Marché department store. We visited this shop while in Paris and I wanted to take the shop home with me. Judging this book by its cover, it should be beautiful! Tacos of Texas is a guidebook and cookbook all rolled into one. The authors visited taco establishments throughout Texas and share what makes each location a must try. Alton Brown EveryDayCook Love Alton Brown? Want to know what he eats every day? This book is written for the Alton Brown stalker in all of us — Brown shares recipes that he makes frequently with his usual dash of humor and a nod to science. Poole’s Modern Diner – we’ve all read about or tried the famous Poole’s macaroni and cheese. Now chef, Ashley Christensen, delivers the ultimate Southern food cookbook, diner style. Simple by Diana Henry Effortless Food, Big Flavors – Diana Henry is a spark of brilliance who can turn the ordinary into the extraordinary. Nigella Lawson states: “This is everything I want from a cookbook”. We agree. Henry does it again – gorgeous book with beautiful recipes. Donna Hay Life in Balance in typical Donna Hay style – stunning photographs that grab you and recipes that keep you turning pages – this book focuses on a fresher approach to eating. See my review and giveaway here. Taste of Persia: A Cook’s Travels Through Armenia, Azerbaijan, Georgia, Iran and Kurdistan it’s Naomi Duguid – and I’ve enjoyed everything she has written. Her books with Jeffrey Alford are spectacular as well. There are 125 recipes in this 400-page book – her titles are exciting reads with the added bonus of recipes. Cuba! : Recipes and Stories from the Cuban Kitchen. All things Cuban are hot right now – and I am truly looking forward to this title. I need to build up my Cuban food knowledge and this promises to be the book to do that. The Saffron Tales – Recipes from a Persian Kitchen – Yasmin Khan visited Iranian home kitchens to share their stories through photographs and recipes that have been revamped for the modern kitchen. Very anxious to learn more about the rich culture of Persian cooking. Gorgeous photographs and beautiful narrative! Herbarium – An encyclopedia that will be the go-to-guide for understanding herbs and their use. This isn’t your typical encyclopedia – this is a beautifully designed book that will enhance your knowledge of herbs which will transform your everyday cooking. See my review and giveaway here. The Good Fork Cookbook for a decade The Good Fork in Brooklyn has been a favorite hot spot. Chef Kim shares her global fusion recipes in this new title. Deep Run Roots – Vivian Howard – as long as we’ve been waiting for Carolyn Phillips’ cookbook – we have been anticipating Vivian Howard’s debut! 200 recipes and stories will make it worth the wait. Everything I Want to Eat – Sqirl and The New California Cooking. The debut cookbook from Jessica Koslow, award-winning chef of L.A.’s hot spot, Sqirl, delivers 100 fresh, healthy, flavorful recipes. Big American – Mario Batali and Jim Webster share 250 recipes from around the United States. Anything Batali and Webster serve up is always good. Central – another Phaidon must have from Peruvian chef, Virgilio Martinez with recipes from his signature restaurant in Lima. My Two Souths – Blending the Flavors of India into a Southern Kitchen. I’m a sucker for fusion food — Indian cuisine and Southern — I need not say more. Red Rooster – Marcus Samuelsson’s famous Harlem restaurant in book form! Yes. Features Southern comfort food and multicultural dishes that the Harlem restaurant is known for. I will be reviewing this book for TasteBook soon. Eataly – another must have from Phaidon – 300 recipes for Italian contemporary home cooking from the folks at Eataly. Italian Street Food – Another must have for me are cookbooks that celebrate street food. 85 recipes from Italy’s streets await us in this title. Adventures of Fat Rice Recipes from the Chicago Restaurant Inspired by Macau. I was able to take a peek at this title and it looks fabulous – vibrant, exciting and unique! I will be covering this book for Eat Your Books soon. Mozza at Home – Nancy Silverton’s next title features 19 menus with 150 recipes for eating and entertaining at home. Far Afield Rare Food Encounters from Around the World – a stunningly photographed culinary travel book concentrating on food farming, fishing and herding methods – with 40 recipes written by a Saveur contributing editor. A must have for me – being able to travel the world of food all in one book. The Del Posto Cookbook – Mark Ladner the celebrated chef of Del Posto releases his debut cookbook! A New York restaurant book – I can’t say no. Land of Fish & Rice – it’s Fuchsia Dunlop. Must have. Every title she has written has been a keeper and her recipes always work. I just received this title and it is another title that you will have to squeeze on your bulging bookcases. In this title, Dunlop concentrates on the beautiful Lower Yangtze region. A travelogue and cookbook with in-depth details into the cuisine of this special location. Food52 – Dinner – Food52 consistently puts out the best of the best. This book focuses on strategies for planning meals in advance. Art of the Pie by Kate McDermott – This book is #1 in Pie Baking on Amazon and Kate is the ultimate pie lady. So excited for her book! It received rave reviews at Publishers Weekly, too! It’s a gorgeous book that will up your pie game to championship levels. Congratulations, Kate. Butter & Scotch – Recipes from Brooklyn’s Favorite Bar & Bakery. “A Dominique Ansel’s meets Broad City” book. I confess I had to look up Broad City (I am so not on fleek), but I didn’t need to Google the talented Ansel! I am drawn to New York titles and especially bakery books – the booze is just gilding the lily. Butter & Scotch is quirky, fun and exciting. Will be doing a full review and giveaway soon. French Desserts – Hillary Davis is a beautiful recipe developer and expert on all things French. Each of her books has a special place on my shelf and there is always room for dessert! Update: I just received the book Monday – Hillary has outdone herself – full review, recipe and giveaway here! The Rye Baker by Stanley Ginsberg is a must have for the serious baker according to Peter Reinhart. Reinhart knows his stuff. Seventy recipes from around the world with all the details you will need to make classic breads. Conversions tables, scalding instructions and master techniques along with stunning photos will have every baker’s oven turning out exquisite loaves in no time. Bobbette & Belle Classic Recipes from the Celebrated Pastry Shop – the pastry queens from Toronto share 100 recipes from their acclaimed bakeries. Their website is beautiful, so I’m trusting this book will reflect that as well. Soframiz: Vibrant Middle Eastern Recipes from Sofra Bakery and Cafe. So many baking books and I want them all – but I have a special place in my heart for baking books that focus on international flavors. Classic German Baking – As I stated before, anything that deals with international baking – I must have. German baking is especially interesting to me as I don’t seem to have a great deal of knowledge in that field. I don’t need another recipe for Snickerdoodles — I want books that bring uniqueness to the table. Update: Wow, this book. I just received it 9/16 and haven’t reviewed it entirely but it is a must have in every baker’s kitchen. Breaking Breads – Uri Scheft has two successful bakeries – one in New York, Breads Bakery, and another in Tel Aviv, Lehamim, his Israeli baked goods are featured in this book and it looks promising. Dories Cookies – Dorie Greenspan – cookies! Dorie is the number one name that we all agree is one of the brightest stars in the baking field. This extensive tome devoted to cookies is a must have for any baker or wanna be baker. The perfect gift for this holiday baking season as well! Join the #cookiesforkindness movement. Marbled Swirled & Layered – Irvin Lin is a friend and I am really happy and excited for his debut book with “150 Recipes and Variations for Artful Bars, Cookies, Pies, Cakes, and More”. I’ve made a few of Irvin’s recipes and they work! Get this book! The Italian Baker by Melissa Forti – 100 recipes with a modern twist – a beautiful book with recipes from Torta A Strati Cocco E Ananas (Coconut Pineapple Layer Cake), Torta Di More Alla Scozzese (Scottish Bramble Cake) to Loaf Alla Cannella (Cinnamon Loaf). Each dessert and photograph more beautiful than the next. Golden: Sweet & Savory Baked Delights from the Ovens of London’s Honey & Co. – the U.S. release of their Baking book by the famous husband and wife team behind the wildly popular Honey & Co. Restaurant in London. This couple and their food won my heart back in 2014 with their first title, Honey & Co. Food from the Middle East. I reviewed this book (the U.K. version), Honey & Co. The Baking Book for TasteBook and am still making recipes from their books. If you didn’t nab the baking book, now is your chance! Other books to check out that I am just as excited about but didn’t wish to go on and on: The Aleppo Cookbook (focusing on the beautiful food of Syria), Better Baking (wholesome ingredients and still decadent desserts), Ingredient, Gennaros Italian Bakery (also titled I believe Panetteria), Slow Dough, A Cooks Tour of France, A Kitchen in the Valley (Tazmanian cooking), Dinner at the Long Table, The Indian Cooking Course, Taco Loco Mexican Street Food from Scratch (I ordered this book and just received it – cool, fun and totally delicious recipes), Cinnamon Square (baking), The Italian Baker (absolutely gorgeous book! ), The Pie Project, The London Cookbook, Grain Bowl, Brindisa True Food of Spain, Vij’s Indian (this looks like a paperback reprint), Cooking for Jeffrey (it’s Ina! ), Appetites – A Cookbook (Bourdain) will be covering for TasteBook, The Chef’s Library: Favorite Cookbooks from The World’s Great Kitchens (this is wonderful more on it later! ), Forest Feast Gatherings (just as beautiful as the first title), Curate Authentic Spanish Food from an American Kitchen, My Abuelos Mexican Feast, Sweet Sugar Sultry Spice, and Black Trumpet. Random Number Generator picked #17 Jesse – email has been sent. GIVEAWAY: Who wouldn’t love $25.00 to go towards ordering one of these titles. This giveaway will be open to U.S. and Canada residents – and the prize will be a $25.00 Amazon.com or Amazon.ca gift card via email. To enter the giveaway, please share this post on one of your social media venues. Leave a comment here letting me know you did. You may enter this giveaway daily (but only need to share once) until a random winner is chosen on August 25th. Good luck. 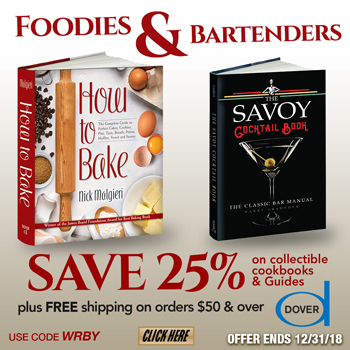 This giveaway is sponsored by The Cookbook Junkies. The links here are affiliate links and help to pay for giveaways and maintaining this site. I appreciate your support. I shared! I’m so excited!! With no apologies for the exclamation points to to come, kudos! That is one stupendous preview of great cookbooks to come. Thanks so much. I am checking out them all. Happy there is no limit to the number of books I can add to m Amazin Wish List. Will email friends who cook. Thanks for all the time and effort you take to create informative posts. !!!! Shared on Facebook !!!!! Shared on FB. Whoo hoo! Shared on FB! Thanks for the enabling! I love you, Jenny. I am 100% certain my husband doesn’t appreciate the influence you wield over my shopping habits 😉 added a few more pre-orders and you are to blame! I shared on Facebook, can’t wait for Dorie!!! I pinned this to my ‘Readables’ board so I can come back and refer to it! What a great resource! Great roundup, I shared it on Facebook. Shared on FB! What fun! I think I want them all. Sharing! Shared while drooling on my laptop. oh My! There goes an explosion on my wishlist! I shared on FB. I’ve already ordered the Rye book. There was a nice write up about it recently in the LA Times. Thank you so much! I would like to get Alton Brown’s book. Hi, I shared this on Facebook. Thanks so much. Would love to get Ronni Lundy’s Victuals! This article has me drooling for the new books! That is a lot of cookbooks! I shared on Twitter. Shared on Facebook. So many books…. Shared on Facebook.. Looking forward to several titles but especially Deep Run Roots. What happens if I want them all? Wow! What a great list! 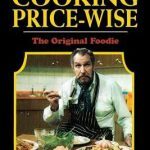 As a cookbook librarian and collector, I had to share!! A gift certificate from.Amazon would really hit the spot! I can’t decide! So many look good. Some of those cookbooks look so interesting! I am definitely sharing to my groups on Facebook. An impressive list – Hope to add a few of these titles to my book shelf. I shared this to my FB page. I can hardly wait . There are quite a few that look wonderful. Am Always looking for new cookbooks!! I’m strategizing on making more cookbook room in my place right now. In the meantime, I shared this on my blog’s Facebook page. Shared on FB. What an amazing list. I hardly know where to start!! Can always use a gift card to Amazon. Should cover one of the many cookbooks I covet after reading this list! I shared on Facebook! ART of the PIE is on my list! Cannot wait! Thanks for sharing, Cynthia. I hope you enjoy the book! Thanks for posting! just shared on Facebook! BIG MONEY BIG MONEY BIG MONEY!!!!! Just discovered your site thanks to Dorie…. Not sure it’s going to be a benefit to my bank account but know it’ll be great for my bookshelf! Happily shared your post to Pinterest! Shared on Facebook! Thank you for posting, some titles I knew were coming out and am excited for them…others I had not heard of and am looking forward to finding out more about them! Hey–I saw on Facebook that Dorie Greenspan shared this post! That is awesome on so many levels. I shared on Pinterest today, which is not nearly as awesome but it’s the best I can do. How awesome that Dorie shared your site! I shared this post on my Baking and Boys! Facebook page! Shared on FB… Thanks Jenny! Checking in for today. Tons of great looking cookbooks coming up! You guessed it, another daily entry. I did it! I shared! Can’t wait for some of these to publish! Shared on Twitter! I love Amazon, probably a little too much. Still dreaming of that super list of cookbook goodies! Shared on FB. Growing by leaps & bounds here! yum!!!! $25 on Amazon.. and all these books are making me incredibly hungry!!! sharing now on FB!! I think this post is quite deserving of multiple exclamation points!! Thus, I’ve tweeted about it again tonight! Thanks! I too am a exclamation point abuser!!! Show me da money!! 🙂 And then I’ll get another cookbook! Shared!! Lots of great titles! Shared !! Can always use Amazon Gift Card . They always have Cookbooks I Need ?? Reading this list just verifies I am indeed a cookbook junkie! Soooooo many new cookbooks on my wish list now! Every time I scroll through this post, I see yet another book that interests me. What a great list! Shared on Pinterest. 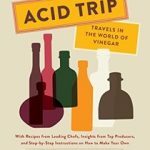 What are the top ten on this cookbook list? Too hard to list 5 only. Looks like I’m in trouble and need to win this gift card! my entry for today!! just as excited and hopeful as I was since finding this post!! All Under Heaven and Alton Brown: EveryDayCook is must have for cooking during the day and a good read at night ! Another day closer, hopefully! Could use me some Amazon dollars, for sure! Checking in for today. So many good cookbooks to look forward to. I am SO excited & my wish list is growing. Thanks . . . I shared on FB today. Art of the Pie should arrive just in time for apple season. Yahoo! yup – still hoping and VERY EXCITED!!! Does the book come with a wood-fired pizza oven? I just shared on Twitter. Thanks! The hardest part for the lucky winner will be choosing which of these books to get with the prize! Shared on Twitter again today. So many to chose from! Thank you for this grand list. I’d be able to finally get a book again, Amazon misses me! There are vegan cookbooks coming out…I am such a vegan cookbook junkie! Ah, that list is calling my name! Amazon where art thou? Shared on Twitter! I was just thinking that I could print out this blog post and use it for my Christmas wish list. Ha! Finally Friday just wish I didn’t have to work tomorrow. So many great looking books coming soon. What a list! Every fall I’m amazed at the number of must-have cookbooks published. So many good cookbooks. And it is a marvel every year there’s another crop of superb cookbooks to choose from. Life with cookbooks is a good one. Can’t wait to get some of these cookbooks! Bet there will be more cookbooks released before 2017 that I want than I have bookshelf space for! Happy Wednesday.. and Happy Cooking/Baking ya’lls!! Marcia, Marcia, Marcia…oops this isn’t the win a wig just like Jan Brady wore in the infamous Jan Brady is jealous of Marcia episode…my bad. If I have to pick just one, how!? What a great list !! Fingers crossed !! 😀 Oh my goodness, those two comments above me are hilarious! Enjoying a beautiful day here in the high desert of SoCal. Have a great weekend! On this scorching hot 95 degree day all I can do is ponder on what is my number one pick off this fall list?? Placing a bet on #174. Let it ride!! I ignore this site for a few days and come back to so many new giveaways! Thanks to Jenni for all these chances to win. And now I bow to the Random gods! Spinning the prize wheel again! 🙂 Wheeeee! Cookbooktober….the only consolation for the end of summer! Looking forward to many of those titles! I would love, love, love Red Rooster by Marcus Samuelsson. THank you. What a great prize ! Some many to choose from! Shared on FB. I hope I win! This is such a brilliant list. Thanks for it and the giveaway. Shared on FB! What a great group of books! Getting crowded in here! We need a winner soon! Checking in for today during a rare arizona thunderstorm. The hardest part is narrowing down my favorites from this list. I don’t even want to know total cost of all my must haves! Shared! So excited for fall cooking! So looking forward to Deep Run Roots, Cooking For Jeffrey, Dammed Delicious, and Mimi Thorisson’s newest. Which books aren’t I excited about? They all look so interesting. I’m finding myself wanting more from the south, so Deep South and Vituals have my interest. I tweeted this giveaway. I want so many of these. If I win, I’ll have to get another bookcase! Shared! So many to choose from! Have been checking out all the books on the list. I did pre-order “Breaking Bread”. There are many more I want. Just shared a second time! I am going to be spending so much money on cookbooks this fall, they all look amazing. Especially the baking ones. What if we could only have one? Or five.